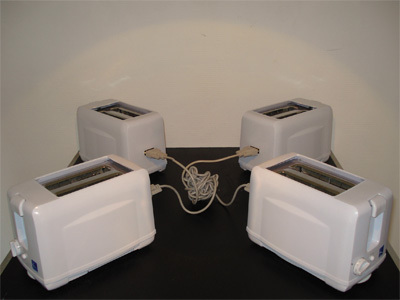 A series of computer controllable toasters. CCT parodies our obsession with automating an increasingly large part of our environment. "Appliances today have all too little computing. 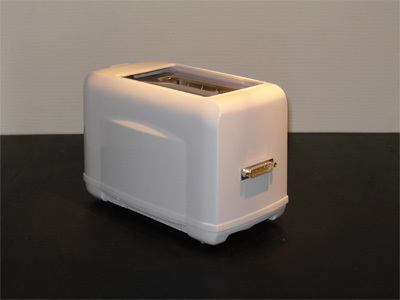 A toaster should not be able to burn toast. It should be able to talk to other appliances. It would really be quite simple to brand your toast in the morning with the closing price of your favourite stock. 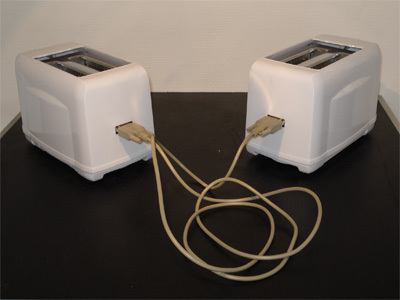 But first, the toaster needs to be connected to the news." (Nichololas Negroponte, Being Digital, 1995).